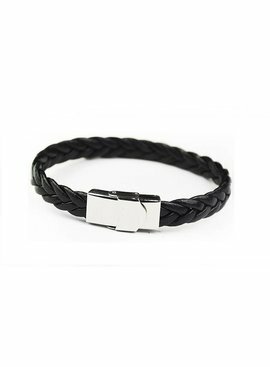 This braided men's bracelet is the trend and has a super handy silver-colored closure. Men with accessories are completely hot! A braided bracelet can certainly not be missed. Super cool men!